£500k for a parking space?! Not with Parking Professionals I can assure you! Whilst keeping our finger on the pulse of the parking world, we came across a fascinating article about a £500,000 parking space! That’s right … £500,000 for a single (ONE) parking space (it does look quite nice to be fair …!). It may not surprise you to know that this parking space is located in Hong Kong – already one of the most expensive and unaffordable cities on the planet. Where rents are as high as the skyscrapers most people live in and space is at a premium. 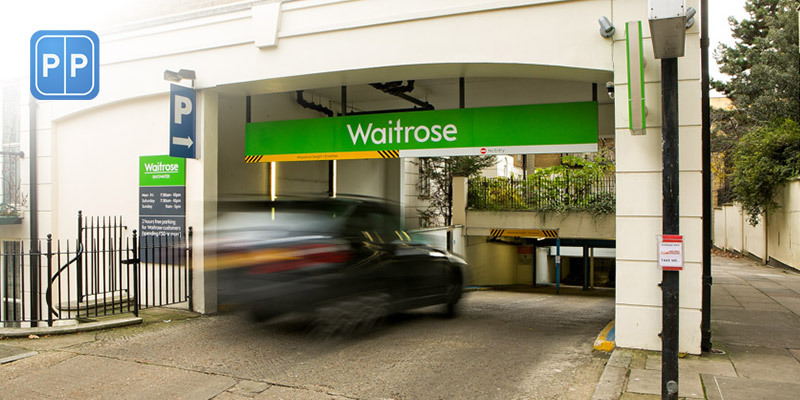 We at Parking Professionals pride ourselves on offering a great service all the time at the car park we manage on behalf of Waitrose Supermarket in Bayswater, W2. Having managed the car park for over 7 years now we believe our Team are knowledgeable and helpful and understand what is needed to go ‘above and beyond’ to make your parking experience as pleasurable as possible. Parking by the hour, day, week, 4, 26 and 52 weeks! The management team have been involved in offering high-end parking in Central London since 1992 and so hopefully know a thing or two about providing our customers with a great service. We are firm believers that unless we get the service right the business does not work. The customer comes first! Call us for FREE on 0800 999 3367 to find out more or to get a quote for your parking. Or email Simon directly: shb@parking-pros.co.uk – a founder and Director of the company. We hope you have enjoyed this blog and we look forward to looking after you and your vehicle at our state of the art car park in Bayswater, London, W2. In addition to cars, you can also store your motorbike at our Bayswater location.